If anyone wonders why people put a lot of effort into training/exercising/preparing, you can't go much better than this. My own motivation for putting in all the time on trips, loving moves is never purely just to tick hard routes, but for the locations you end up in. "I sat in the no-hands feeling dumb for even trying the route. I was still over it and almost considered just taking and lowering so I wouldn't have to climb on it. I forced myself to wait a few minutes to see if I still felt that way. It was then that I finally realized just where I was. On this ledge you get the perfect view of the entire Motherlode. The ledge sits up above the GMC wall, one of the best walls in the Red. In front of me was the waterfall flowing out from on top of the cave, and above me was the dark silhouette of the route's quickdraws standing against a perfect blue sky. At that moment I realized that this was what I always wanted. 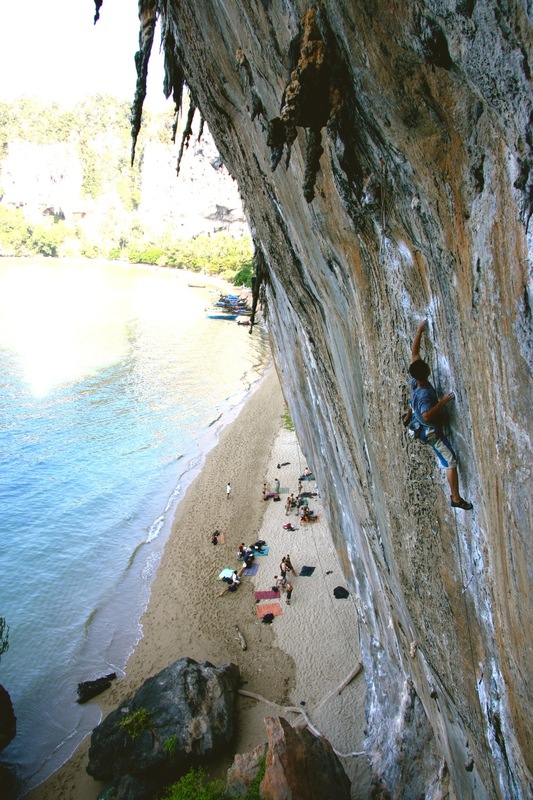 The reason I started sport climbing was to climb big beautiful routes, and here I was in the middle of one. I had become so focused on wanting to do this route that I had forgotten why I originally wanted to do it and just how incredible it seemed when I first saw it six years prior. For the first time in my climbing career I was happy with where I was at. I've always been stuck looking ahead at the next great thing, but this was different. I was finally in love with what I was doing right there in that moment." From Nate who I had the pleasure of hanging out with in October at The Red.